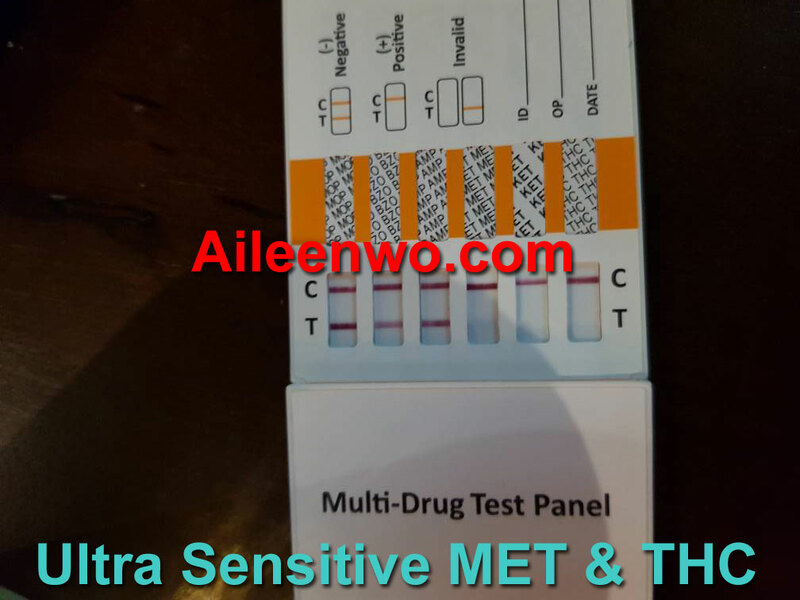 The Multi-Drug Saliva Test Panel Strips 6-in-1 tests detects saliva samples containing drugs or drug analogues at the following concentration cut-off levels. Allow the test device, specimen, and /or controls to reach room temperature (15 – 30 celcius) prior to testing. Instruct the donor to not place anything in the mouth including food, drink, gum or tobacco products for at least 10 minutes prior to collection. Using the provided oral fluid swab, sweep the inside of the mouth for 3 minutes. The sponge will gradually soften as oral fluid is absorbed, and should be completely soft after 3 minutes. Stop sweeping the mouth, and push the moistened swab firmly into the specimen dispenser. Push the collector into the collection chamber and press down firmly to release as much liquid as possible. Be sure that at least 0.5 ml liquid has been collected in order to make re-conformation test possible, if necessary. Tightly shut the outer cap of the specimen dispenser. remove the test from the its sealed pouch, and place it on a clean, level surface. Label the test with patient or control identification. For best results, the test should be performed within one hour. Unscrew the dispensing tip (not the outer cap) of the specimen dispenser, and transfer 3 drops of fluid (approximately 100 µl (microliter) to each specimen well of the device and start the timer. Avoid trapping air bubbles in the specimen wells, and do not add any solution to the result areas. As the test begins to work, color with migrate across the membrane. Wait for the colored band(s) to appear. The result should be read at 10 minutes. Do not interpret the result after 20 minutes. NEGATIVE: Two lines appear. 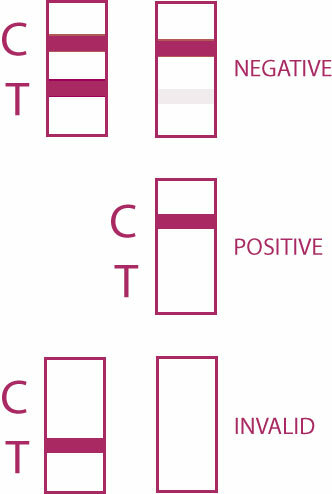 One red line should be in the control region (C), and another apparent colored line adjacent should be in the test region (Drug/T). This negative result indicates that the drug concentration is below the detectable level. NOTE: The shade of color in the test line region (Drug/T) will vary, but it should be considered negative whenever there is even a faint line. POSITIVE: One colored line appears in the control region (C). No line appears in the test region (Drug/T). This positive result indicates that that the drug concentration is above the detectable level. WHO SHOULD HAVE THIS PRODUCT? Rather than risking a child’s health, status at school or having to involve the police, parents now can conduct a simple drug test on their kids drug intake at home. Early home drug test saves your child from illegal drug abuse. It’s convenient, easy and accurate drug test to let you test your children for illegal drugs such as COC – Cocaine (Coke, Snow, Blow, Toot) or Crack (Base, Sugar Block, Roxanne) or koka, coke, happy dust, snow, charlie, srepet, salju, putih./THC (Tetrahydrocannabinol) or Marijuana or cannabis or Ganja/MOR or Weed, Pot, Grass, reefer, Mary Jane, Joint, Roach or Nail, Blunt- Opiates or Morphine/AMP- Amphetamines – shabu, SS, ice. fantasy pill/MET -Methamphetamine or Ecstasy or (Syabu, Ice, Yaba)/MDMA which are among popular Drug of Abuse among teenagers in Malaysia. Using a simple saliva test at home, parents can step in and monitor their kids’ drug intake at home. If you believe your child is abusing illegal substancesl, you can drug test him at home without the high cost of a doctor or the risks of calling the police. Drug testing your child shows him that you won’t tolerate substance abuse and that you care about his well-being. Pre-employment drug test is extremely important for any organization. Employee drug test will protects the health and safety of all employees. This testing proves to be very efficient method in managing drug abuse. Drug testing is raising many problems causing employee turnover, tardiness, absenteeism, theft, turnover, attitude problems, deceased productivity, crime and violence. Now, employers can make initial screening before hiring someone to work in their company. It’s an assurance in providing corporations from suffering losses due to hiring workers who are involved in drugs. Screening for drug testing can be done through the problem & suspected students which is involved with drugs of abuse. Drug screening test can be done by the school authorities without any authority or professional involved. Random drug testing would be conducted at all public institutions of higher learning as the authorities are apparently “concerned” that any students caught with drug abuse will give the university concerned a bad name. 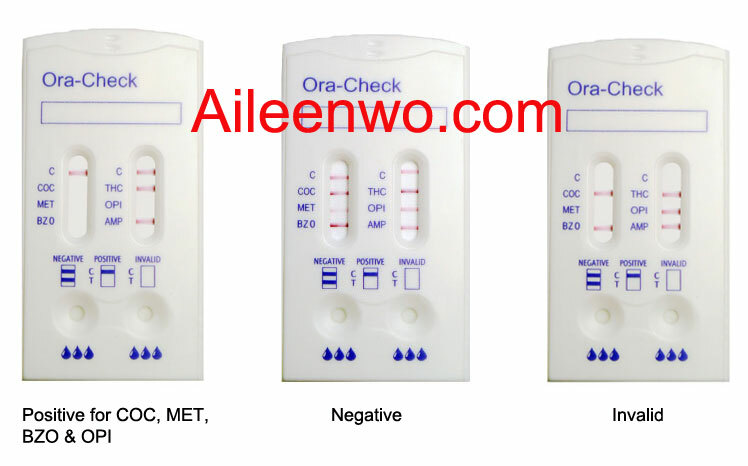 The Multi-Drug Urine Test Panel Strips 6-in-1 tests at home drug test detects urine samples containing drugs or drug analogues at the following concentration cut-off levels. 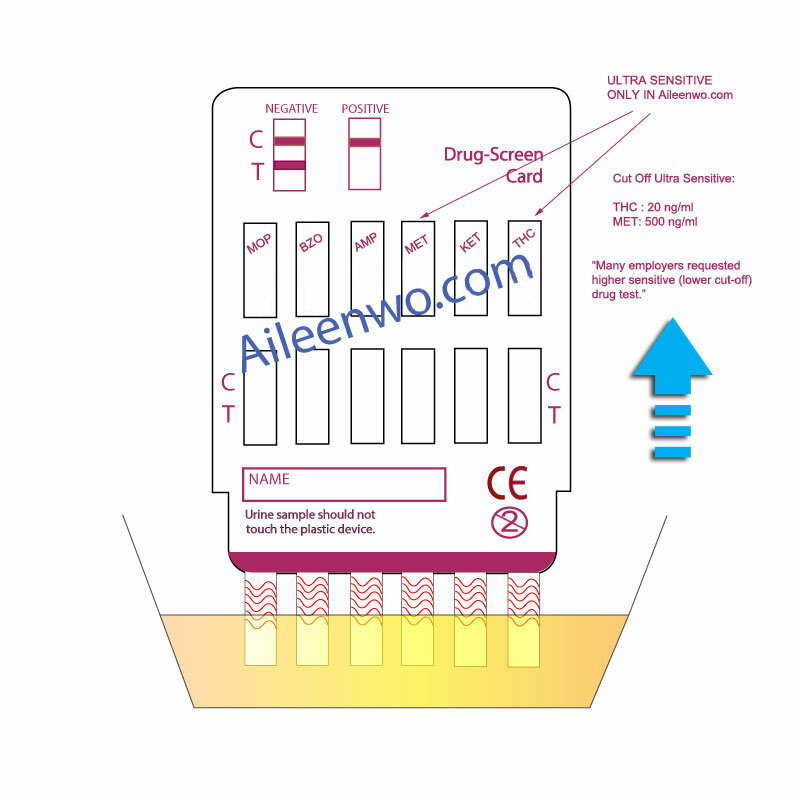 Allow the test panel, urine specimen, and / or controls to equilibrate to room temperature (15 – 30 celcius) prior to testing. Bring the pouch to room temperature before opening it.remove the test panel from the sealed pouch and use it as soon as possible. Remove the cap from the end of the test card. With arrows pointing toward the urine specimen. Immerse the strips of the test card vertically in the urine specimen for at least 10 – 15 seconds. Urine sample should not touch the plastic device on the test panel when immersing the panel. See illustration below. Place the test card on a non-absorbent flat surface, start the timer and wait for the red line (s) to appear. The result should be read at 5 minutes. Do not interpret results after 10 minutes. The urine specimen must be collected in a clean and dry container. Urine collected at any time of the day may be used. Interpretation of Results NEGATIVE: Two lines appear. One red line should be in the control region (C) and another apparent red or pink line adjacent should be in the test region (T). This negative result indicates that the drug concentration is below the detectable level. NOTE: The shade of red in the test line region (T) will vary, but it should be considered negative whenever there is even a faint pink line. INVALID: Control line fails to appear. Insufficient specimen volume or incorrect procedural technique are the most likely reasons for control line failure. Review the procedure and repeat the test using a new test panel. Rather than risking a child’s health, status at school or having to involve the police, parents now can conduct a simple drug test on their kids drug intake at home. Early home drug test saves your child from illegal drug abuse. 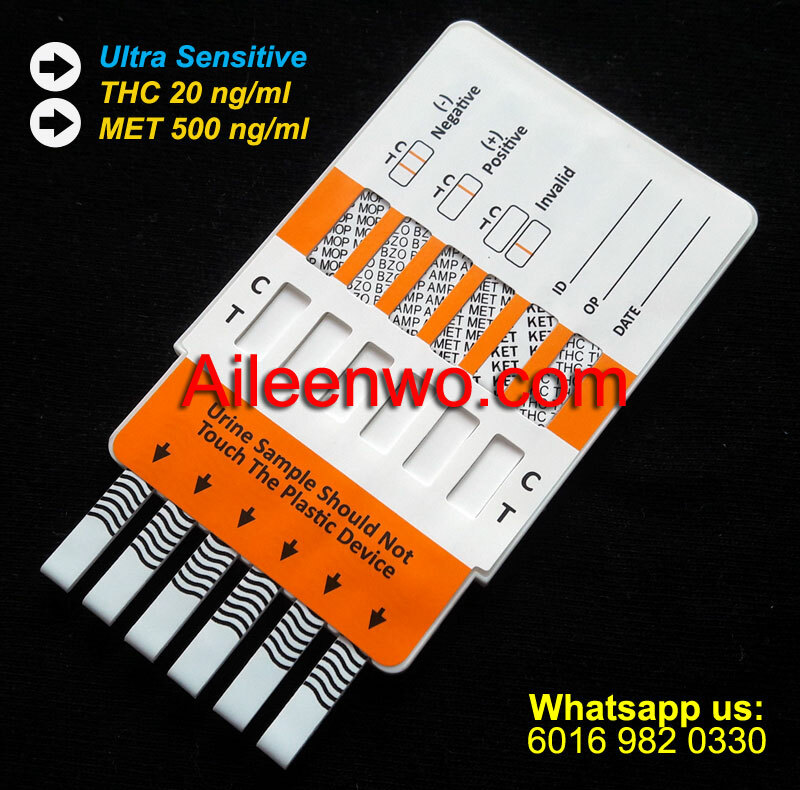 It’s convenient, easy and accurate drug test to let you test your children for illegal drugs such as COC – Cocaine (Coke, Snow, Blow, Toot) or Crack (Base, Sugar Block, Roxanne) or koka, coke, happy dust, snow, charlie, srepet, salju, putih./THC (Tetrahydrocannabinol) or Marijuana or cannabis or Ganja/MOR or Weed, Pot, Grass, reefer, Mary Jane, Joint, Roach or Nail, Blunt- Opiates or Morphine/AMP- Amphetamines – shabu, SS, ice. fantasy pill/MET -Methamphetamine or Ecstasy or (Syabu, Ice, Yaba)/MDMA which are among popular Drug of Abuse among teenagers in Malaysia. Using a simple urine test at home, parents can step in and monitor their kids’ drug intake at home. If you believe your child is abusing illegal substancesl, you can drug test him at home without the high cost of a doctor or the risks of calling the police. Drug testing your child shows him that you won’t tolerate substance abuse and that you care about his well-being.